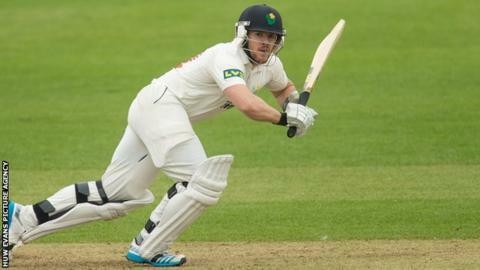 Glamorgan's match against the students of Cardiff MCCU had to be abandoned as a draw due to rain. The Universities were 27-1 in their second innings when the game was abandoned after being set a target of 367. Glamorgan had declared on 177-1 with Will Bragg undefeated on 100 after sharing an opening partnership of 133 with Gareth Rees, who made 52. They begin their Championship campaign against Surrey on Sunday.